Are you looking for a light, quick read with a colorful cast of characters? 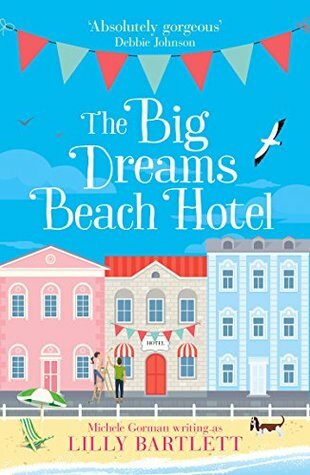 Then look no further than The Big Dreams Beach Hotel by Lily Bartlett. 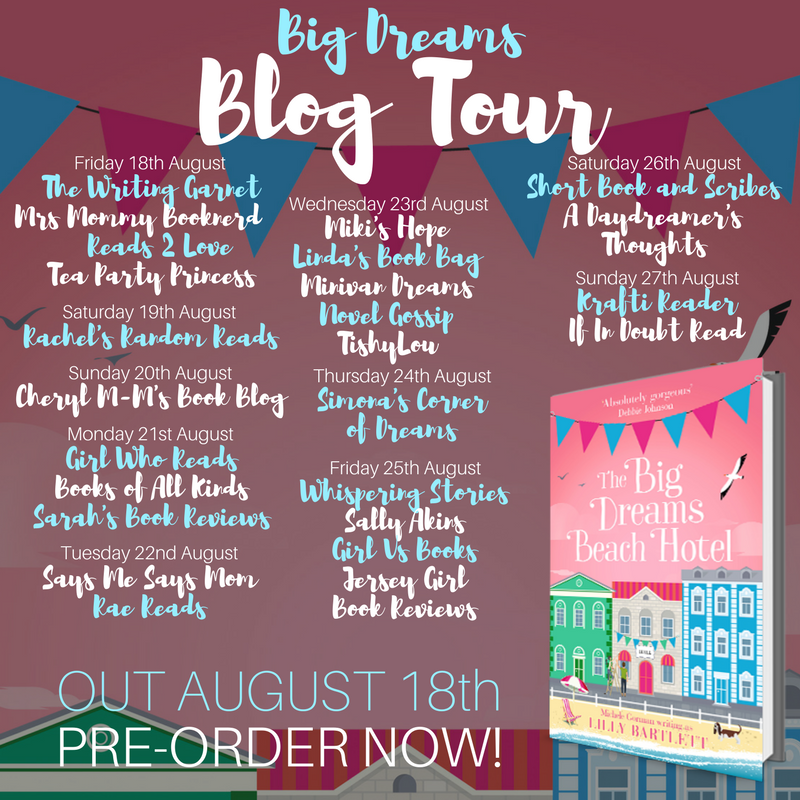 Lilly Bartlett, the author of the Carleton Square series, is back with an end of summer tale of a woman whose dreams were crushed and now has the dreams of a motley crew of characters resting on her shoulders. Bartlett is talented at creating fun, memorable characters. From the prickly chef to the 1970s lounge singer to the narcoleptic performer and his dog, the residents of a Victorian seaside hotel in northern England will endear themselves to the reader. Throw in a couple of crazy hotelier twins for laughs and conflict. And then there are the main stars of the story - Rosie, the manager of the hotel who returned home after her career and heart were crushed by a lying, two-timing jerk in New York City, and Rory, the transition manager who was hired by the crazy twins to transform the failing seaside hotel into a "5 star resort at 3 star prices". Unlike the rest of Bartlett's book (and Michele Gorman who writes as Lilly Bartlett), this wasn't one of my favorites. It was still an enjoyable read. I felt the characters were unique and fun, but maybe a bit too two-dimensional. There just wasn't much to them underneath their quirky behavior. I liked Rosie and really wanted to know what happened in New York - which is slowly revealed throughout the story. Rory was a great character to pair with Rosie. I would have liked the hotel itself to have been a bigger player in the story and more tension resulting from the conflict. Even though the area seems economically depressed, the descriptions did make me want to hop on a plane and visit the sleepy seaside town. 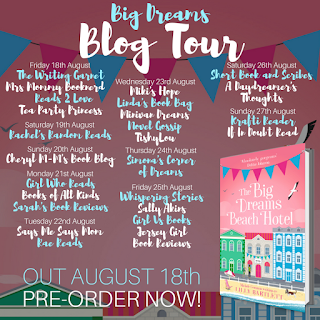 Like most of Lilly Bartlett's books, The Big Dreams Beach Hotel is a quick, easy read so if you have a late summer get-away planned this would be a great companion.